Use topically for traumatic injury with bruising, swelling or pain. Applicable for sprains and fractures with swelling or bruising. 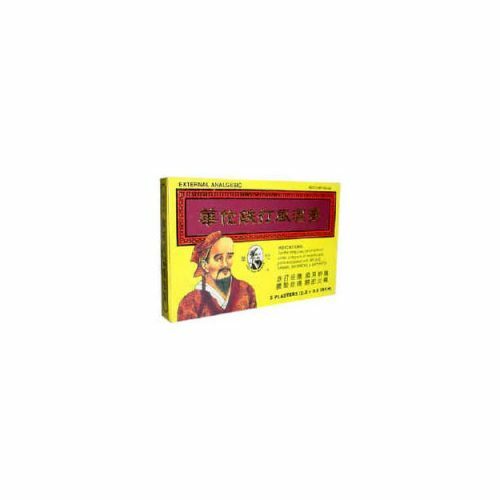 Also applicable in chronic rheumatism and lower back pain. Invigorates blood, dispels blood stasis, disperses swelling, relieves pain. Use topically for traumatic injury with bruising, swelling or pain. Applicable for sprains and fractures with swelling or bruising. Also applicable in chronic rheumatism and lower back pain. This is an excellent medicated plaster for acute or chronic trauma or rheumatism. It is effective in isolated joint pain, including tennis elbow.